Follett has been instructed to use Library of Congress. Sometimes MARC records will be sent with BISAC Subject Headings and Sears List of Subject Headings as well. This is acceptable as it provides increased access for students. The Destiny OPAC also has Alliance Plus and Z Sources that allow for copy-cataloguing. When using these MARC records, check to ensure subject headings align with local policy. When cataloguing materials obtained from sources other than Follett that do not come with MARC records, first search the Library of Congress. Three or more subject headings should be used when manually cataloguing. All spine labels use capital letters. Dewey Decimal Classification (DDC) is how nonfiction resources are classified. Numbers are to be cut at first prime (indicated by a slash / in the 082 field). 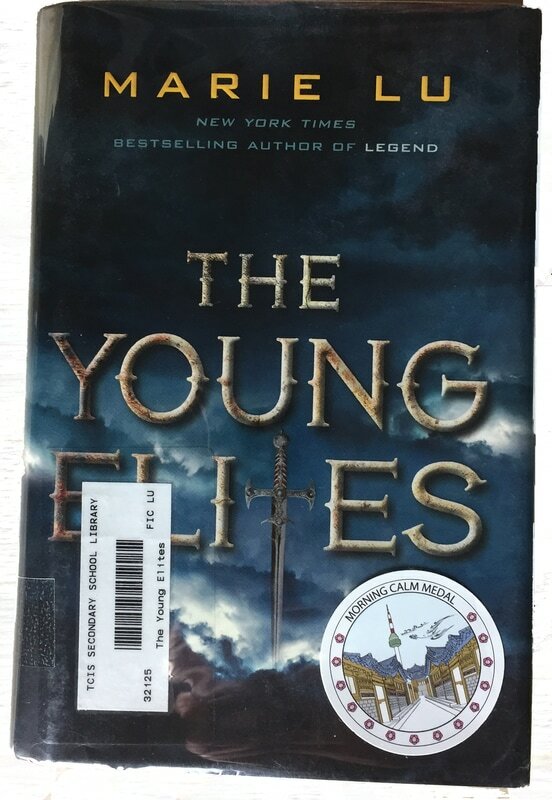 A label indicating title, reading level, and interest level sticker is placed on the upper, right corner on the first page. Works of fiction in English are classified as FIC with the first three letters of the author's surname. On the spine label, the FIC is placed above the three surname letters. Foreign language fiction (for mother tongue support) are to be labelled with an abbrevieated language marker above the regular FIC and first three surname letters. Other languages will be decided upon acquisition by the head librarian. Graphic novels are to be classified using 741.5 with the first three letters of the author's surname. Nonfiction graphic novels that arrive processed from Follett sometimes have a Dewey Decimal (DDC) number other than 741.5. These need to be changed, as all graphic novels are housed on a shelf together. Placing them here instead of where their correct DDC number increases access, as students are looking there for graphic novels. On the spine label, the 741.5 is placed above the three surname letters. Collective biographies are classified using the 920 DDC division. Individual biographies are classified using the optional 921 DDC division. DDC is used for all nonfiction resources. The DDC number is on the top line of the spine label; underneath is the first three letters of the author's surname. Reference resources have REF above the class number and are housed together in the stacks. Currently professional resources have PRF above the class number and are located in a separate section of the library. Follett has been instructed to discontinue processing this way, and work is ongoing to intershelve with the other nonfiction resources. The rationale for this is that our Grade 11 and 12 students may have need for these resources. A blue sticker will be affixed to new books on the top of the spine. A POW sticker will be affixed to graphic novels (see "Graphic Novels" above). A star sticker will be affixed to the extra copies of Morning Calm books. This indicates they should be shelved on the 3rd floor with the other Morning Calm books. The single copy kept in the regular fiction section on the 2nd floor will not have a star sticker. A Morning Calm medal will be affixed on the front cover of all copies of winning titles. These will be placed in the least obtrusive location (ie. not a fixed location, but where it will least affect written title, main cover image, and author name. An AR sticker will be affixed to AR books (see "General Rules" above). All labels will have strong book tape placed on top so labels do not scratch off. The practice of using labels such as "YA" have been discontinued. Instead, use recommended interest level located on the top right of the first page of a book to recommend based on content.